Why do some digital in-house teams have all the resources and people they could ever need while others struggle on a daily basis? Does it all come down to senior management or do we have our part to play? I have had the dubious pleasure of working with well over 30 higher education institutions around the world. Each of these organisations all has their digital teams, yet their investment in digital varies wildly. Some teams consist of a couple of people sitting in a basement while other institutions of a similar size have floors of people working on digital. What is the source of this discrepancy? That was the question I asked myself while writing User Experience Revolution and Digital Adaptation. A puzzle that led me to identify ten traits that I had observed in well resourced, successful digital teams. So, let’s take a moment to explore what exactly helps a digital team succeed in a higher education institution. 1. Successful teams show, rather than tell. One thing I have observed is that non-digital colleagues such as those in senior management struggled to understand the benefits that a digital team can provide. Successful digital teams seem to grasp this and so have learnt to communicate differently. Instead of relying on documentation and presentations that talk about the benefits they can provide, they show people instead. Successful teams learn to communicate through prototyping and other visuals rather than documents and powerpoint slide decks. Some use prototyping as a way to demonstrate to management how much better the user experience could be. How much better it would be if the team got the investment it needed and could throw off some of the constraints imposed upon it. Other teams rely on showing management videos of users struggling with existing digital services to compel them into action. But whether showing management the successes of others or presenting them with a visualisation of the customer journey, successful teams grasp that you have to show people and not just tell them. Let’s face it; most universities are relatively inward looking. They don’t tend to focus heavily on the needs of customers. That can prove a problem when it comes to making digital successful. That is why successful digital teams are constantly refocusing internal stakeholders and the needs of users. For example, instead of starting projects with a brief from their internal “client” they begin by creating user story cards or carrying out top task analysis. Top task analysis helps focus stakeholders on what users need, not what they want to say. When there is disagreement over the best approach, a successful digital team will suggest testing with real users. They embed usability testing in their everyday workflow and, in some cases, even insist stakeholders attend at least some of the sessions. By involving users at every step of the process and encouraging stakeholders to consider user needs, it helps others realise just how valued digital services are to the new generation of students. Of course, it would be naïve to blame management and other stakeholders for all the woes suffered by digital teams. In many cases, we are our own worst enemy. For example, many digital teams I have worked with are terrible at collaborating. By contrast, the more successful digital teams have become adept at incorporating stakeholders into the production process. By involving them in decision-making through exercises such as design sprints or workshops, they show their colleagues how the institution should build digital services. Successful teams use design sprints and workshops to engage and collaborate with others. But more significantly they also give stakeholders a sense of ownership over the digital services they helped create. That makes them considerably less likely to reject those services and more likely to defend them to colleagues. Ironically, many digital teams claim to work in an agile way, a methodology built around close collaboration. However, far fewer digital teams are truly agile in the sense that they include all those involved in the project even if those individuals working in a different department. You cannot claim to be agile or collaborative if you are handing work off to a development team or failing to embed your internal client in your agile project team. Close collaboration with colleagues across the organisation has another benefit too; it helps educate them about the potential of digital. Successful digital teams understand that one day digital needs to become as ubiquitous as electricity and for that to happen they need to teach people how to use it. Education also raises the profile of digital which in turn helps the digital team do its job properly. Successful teams take educating colleagues as seriously as building digital services. A successful digital team spends as much time educating as it does implementing. Successful digital teams routinely blog, run training, send newsletters and even in some cases run workshops or in-house conferences. In fact, prominent user researcher Leisa Reichelt once said that she only spent 30% of her time doing her job. She spent the other 70% communicating with colleagues. Finally, for this post at least, we come to probably the hardest trait to describe. Based on my experience, successful digital teams seem to have a different attitude to their less successful peers. More successful teams seem to manage to maintain a positive, proactive approach even when things get tough. You could argue that because they are more successful, it enables them to keep a more positive outlook. That may indeed be true. But what is also evident is that a positive attitude also encourages further success. Many of the teams I encounter who are struggling, suffer from two distinct problems. First, they have become cynical and beaten down. Anything you suggest they have tried in the past and it has failed. They feel like nothing can ever change and so have effectively given up. That is an understandable conclusion to reach, and many teams have good reasons for feeling like that. But just because something failed in the past doesn’t mean it will do so today. Digital has become much more business critical, and universities are increasingly beginning to appreciate its value. If ever there was a time to fight the good fight one last time, it is now. But there is a second more insidious problem that I see in the attitudes of struggling digital teams. Many of them have become institutionalised. Years of working within the same sector have limited their thinking and led them to dismiss new approaches. That is in stark contrast to more successful digital teams. Teams that don’t wait for permission, but push ahead with digital innovation. These same teams are unafraid to challenge the status quo and do things differently. Successful teams are practive and positive. They get on with the job, rather than always seeking permission and approval. Their positive attitude also affects how they interact with other parts of the organisation. Many digital teams become seen as a roadblock that other departments have to work around. Their cynical attitude means that they continually say no. The more proactive teams on the other hand, enthusiastically work with stakeholders to find the best solution both for them and the user. Others see them as problem solvers, not barriers. The characteristics I have outlined in this post are only the tip of the iceberg. There are still more traits to explore. Traits that I will unpack in the second part of this two-part series. To make sure you don’t miss out on the second instalment, subscribe to blog updates in the right-hand column of this page. 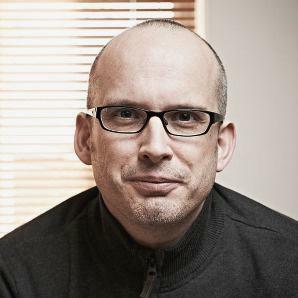 Paul Boag is a User Experience Designer, expert in digital transformation, speaker & author of User Experience Revolution.